Super Smash Bros. Wii U belongs to famous fighting game series by Nintendo in which you have amazing controls, its DLC Characters makes Super smashy roster. Super Smash Bros. Wii U is one of the most famous classic video games ever made, it was developed by Bandai Namco Studios and Sora Ltd back in 2014. This fighting game belongs to the popular fighting game series Super Smash Brothers whose first gaming edition was released in 1999. This version of the series follows the typical gameplay of fighting in which a player has to use various techniques and skills to knockout their opponents and kill them. Like previous editions, there are different characters in the game you can choose from and in addition, this installment has a few more characters which makes it more interesting. 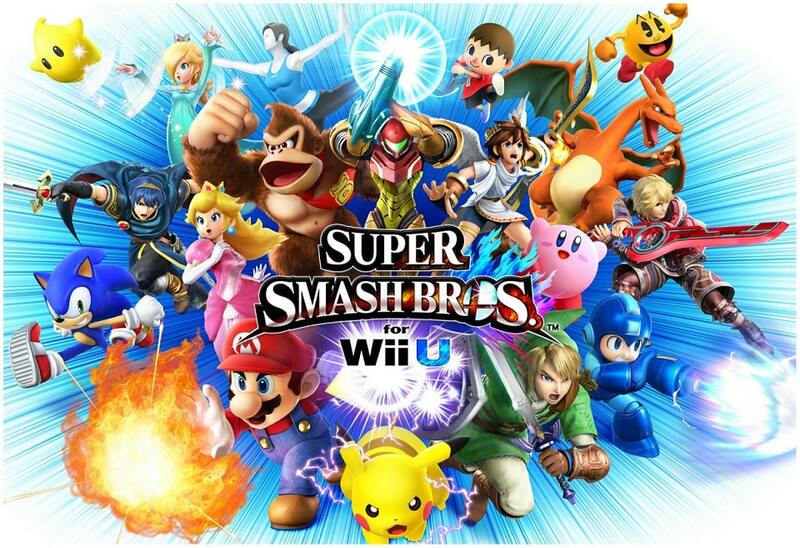 Wii U version of Super Smash Bros. was released in different regions of the world like Europe, Australia, and North America in November 2014 while in the remaining regions on the following month of December. This edition has an improved gameplay with better graphics and sound quality. After the initial release developers released some downloadable content that contains additional stages, characters, special moves, and fighting styles. The standalone version was appreciated by everyone but some critics of the game criticized online gameplay features. Nintendo which is the publisher was successful to sale more than five million copies over the period of just two years after the release. In this multiplayer fighting game, you can select any character and then use different types of attacking techniques to bring down your opponent and knock them out of the game. On the top of the screen, there is a damage indicator for your character which shows how much health you have lost and how long you can survive in the game. Also, there are different items that can be used to damage an opponent, items like Smash ball enables the player to bring more character specific and powerful harm. There are many other items which will be explained in the article later. Another feature that makes this game unique is that it incorporates an online ranking system which shows how strong the player's profile is, how many players he has outscored and how powerful his attacking techniques are. This online ranking system is called "Global Smash Power", it is basically players solo mode score and is being used whenever a player wants to play with someone online as the game has a feature of putting up any player with someone who has the similar skill level. Anyone can join an online Spectator mode where he can simply watch other players playing. This version features 1080P high-resolution graphical display and 8 players are allowed simultaneously in a Special mode. 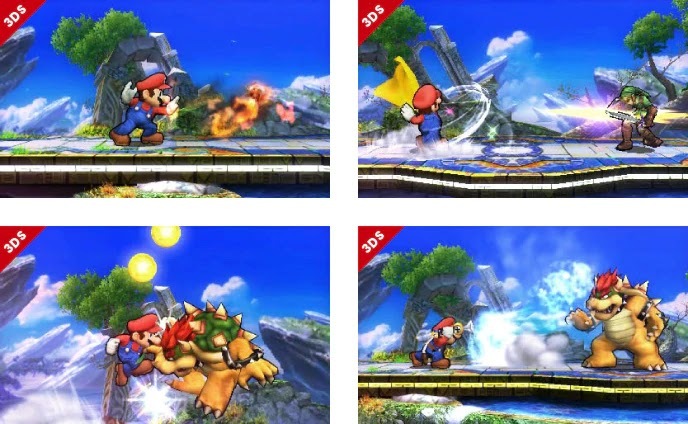 There are different controls available for the gameplay some of the basic controls include Standard attack and Smash Attack, Four Special Moves, shielding & Dodging, and holds. You can perform standard and smash attack by holding up the Control Stick or Circle Pad in a particular direction and Press A button this will make your attack more powerful in that direction. Simultaneously press A button along with quickly flicking the control stick or circle pad will allow you to make a Smash attack resulting in launching the player in the air. Press the B button as it is for the special move, the kind of move depends on which direction you have moved your control stick or circle pad. Four special moves are Standard, Up, Side and Down. Press the R button to make a shield, but this shield has a time span after which it breaks down and makes your characters dizzy and unprotected. Dodging is to help you dodge the opponent, so while making a shield you can move your control stick in any direction you want to dodge towards. There is a list of fighters you can download after spending some amount of dollars on them. Bayonetta is a fighter who has some unique Bullet arts and Witch time. This DLC is available for 5.99 USD on Wii-U. If you don't have this character in your roster than you are not enjoying smashing. This fighter is available for 4.99 USD, its one of the most lethal fighter of the fire emblem. Get it added to your roster and have ultimate fun. A New character with deadliest weapons has joined the Roster along with a new stage. Get it at a rate of 5.99 USD. Number of stages is available for the users at a very decent price. Get an experience of Super Mario at just 2.49 USD and enjoy the best stage of the whole game. Have fun of fighting enemies on a pirate ship. This DLC is available at just 1.99 USD. The most amazing scenery of Hyrule castle and a deadly fight among powerful characters, Enjoy this stage at a price of 1.99 USD. Nostalgic views of dreamland and wonderful fight at just 1.99 USD. Get amazing fighting costumes for your characters from the DLC now. The list of available ones is given below. This cool and safe armor plus helmet is available for 0.75 USD. This outfit makes your character looks cool and amazing for just 0.75 USD. Ashely complete set of an outfit is also available for 0.75 USD. Let's explore a long list of SSB-WiiU characters. Many of them which are available in the start of the game, we are going to call them a Starting Roster and those which can be unlocked later in the game are called unlockables while those which can be downloaded are known as DLC. Some of the famous starting rosters consist of Mario, Donkey Kong, Link, Samsun, Yoshi, Kirby, and Pikachu. While famous DLC consist of Bayonetta, Korin, Cloud, and RYU. 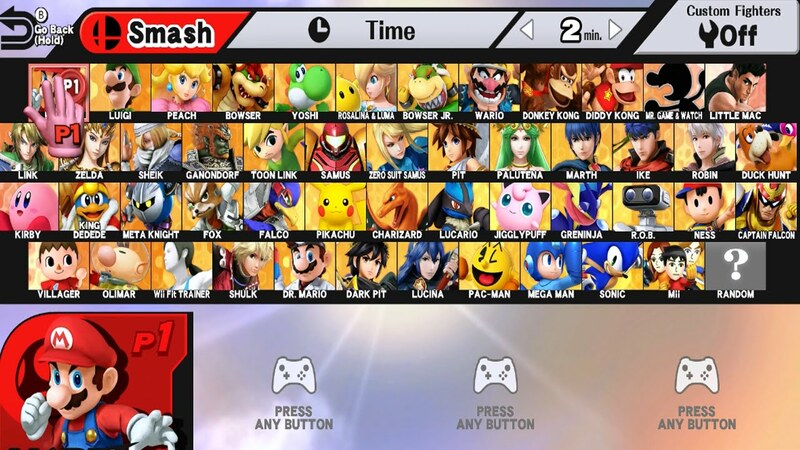 And unlockables are Ness, Ganon, Wario, Pit, and Captain Falcon.